kt literary » Blog Archive » Whidbey Writers Workshop — About My Query LIVE and in person! 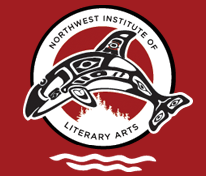 Whidbey Writers Workshop — About My Query LIVE and in person! I’m belated in posting this, but I’m thrilled to have been asked up to the Whidbey Writers Workshop Master of Fine Arts Fall Residency this August. As per the post title, I’ll be giving a live version of my About My Query critique workshop, as well as speaking on writing for today’s middle grade and YA market. Fun! What I love about this MFA program (my friend Yi Shun is a graduate, and my husband is a current student, so this isn’t just theoretical) is that it doesn’t just prepare its students to be writers and teachers of writing, but it rather extends tremendous effort to help its students understand the publishing process, and find success there. I look forward to adding my own two cents! To that end, the good folks at NILA have asked me to answer a few questions, which are below. Enjoy! The snacks? No, I just loving being able to possibly give them that one extra bit of information that they can use to put together a compelling query letter and find an agent to sell their book! I mean, yes, of course, ideally it’s me, but I get such tremendous satisfaction in helping others find representation, no matter who it is. Well, one of my sessions is an About My Query workshop, in which I look at a sample query and help the writer craft a more compelling version. I’ve been doing it on my blog fora couple of years now, so there’s a ton of archived posts. I’m looking forward to working with the students to help them get their material ready for querying! And my second session is an overview of the current market for YA and MG, looking at what’s selling, what that means for writers in those age ranges, and what a base level of knowledge in those categories might entail. For instance, looking at this week’s NY Times bestseller list, what conclusion can we draw from 7 realistic contemporary novels on the YA list? What does that mean for your paranormal romance? And how much effect does a movie have on a book’s success? What’s exciting for me right now is that community no longer has to mean something physical. I have a strong local group of other agents and authors that I can meet with for lunch, or to go see that movie based on a YA novel, but I also have a never-sleeping community of like-minded souls online, so that when I finish a novel at one in the morning in tears, I can reach out to someone to discuss it. Community means conversation, not necessarily proximity, and after moving from New York to Colorado six years, I was truly thrilled to put find an amazing group of like-minded literary friends to converse with! Thank goodness for Twitter! Chauffeuring my children around between day care, summer camp, swim lessons, swim team practice, swim meets… Oh, and cosplaying at ComicCons! Let’s call it a 4. I love the water, and am very susceptible to peer pressure. If you’re interested in an MFA in creative writing, do check out the program! And if you have any questions, I’m very certain I can have someone come by the comments here and answer them. Thanks!